This is the dress that everyone has been arguing over since last night. A lot of people seem to think it’s white and gold, when it’s quite clearly black and blue, and some of our favourite celebrities have weighed in on the #WhiteAndGold or #BlackAndBlue debate. She is nuts! 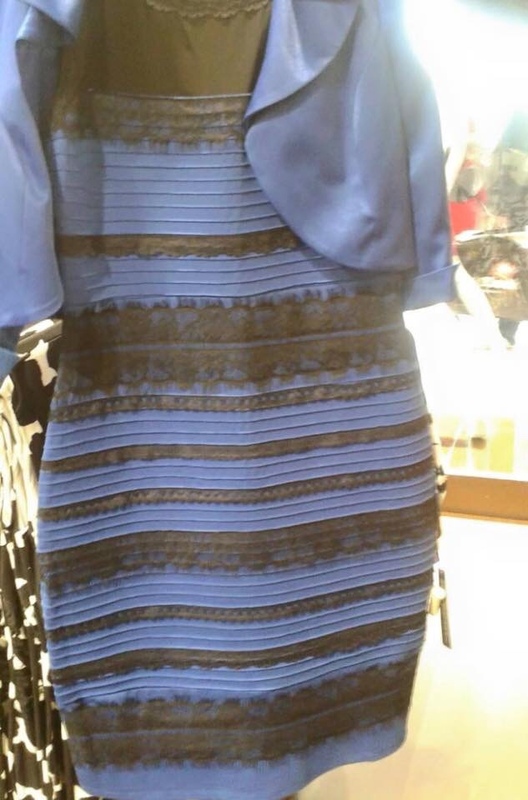 How is anyone seeing white and gold? Mindy Kaling has been our favourite, in regards to the dress. She feels EXTREMELY strongly that the dress is black and blue (because it is). I think I’m getting so mad about the dress because it’s an assault on what I believe is objective truth. Demi Lovato’s right. A dress is officially more famous than us. Wow. We now live in a world where not only can anyone become famous, but ANYTHING can too. Should we all just agree to stop?